- Noni Glow Face Oil: 1ml/ 0.034 fl.oz. Facial sculptors stimulate circulation to promote a youthful glow and firm the muscles that loosen as you age, so it's little wonder every beauty blogger on Instagram swears by them. 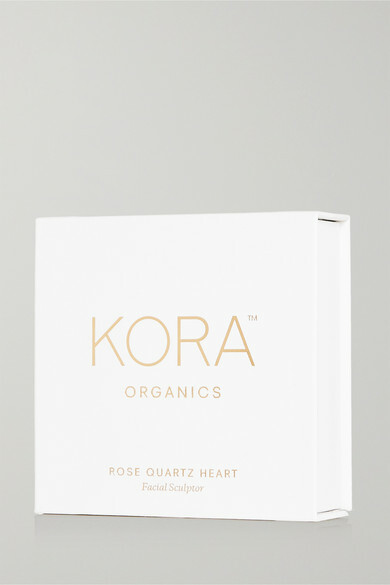 This heart-shaped one by KORA Organics is made from rose quartz - a healing stone that helps to ease tension, stress and anxiety, as well as promote feelings of happiness and emotional well-being. Use it in the mornings to reduce puffiness and eliminate toxins.